Does women’s experience matter for theological inquiry? Elizabeth Johnson’s premise is that it does, and that the failure of traditional Trinitarian doctrine to account for women’s relationality results in a too radical distinction between God and the world. Drawing on feminist ethics and God-talk, transcendental experience, and panentheistic Trinitarian theology, she constructs an alternative relational ontology and Trinitarian female symbol. Is her integration of these multiple systems viable? More importantly, can divine and human freedom, distinction and personhood be upheld within Johnson’s framework? Knowing God by Name is a critical assessment and evaluation of this approach, bringing Johnson into conversation with Catholic and feminist colleagues and with Karl Barth, whose Trinitarian theology of experience maintains the divine-creaturely distinction she challenges. It asks whether her combination of Rahnerian anthropology, panentheistic relational ontology and feminist God-talk is internally consistent and methodologically plausible. 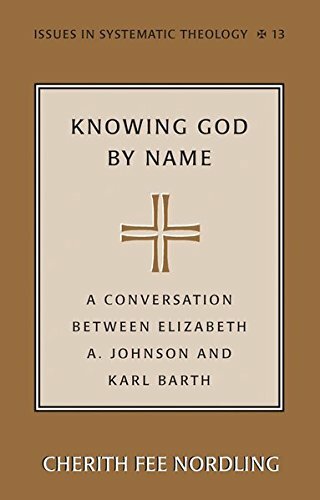 Knowing God by Name thoughtfully examines Johnson’s claim to speak within the contours of historical, Trinitarian Christianity and her contribution to the life and language of the Church today. If you have any questions about this product by Brand: Peter Lang Publishing, contact us by completing and submitting the form below. If you are looking for a specif part number, please include it with your message.